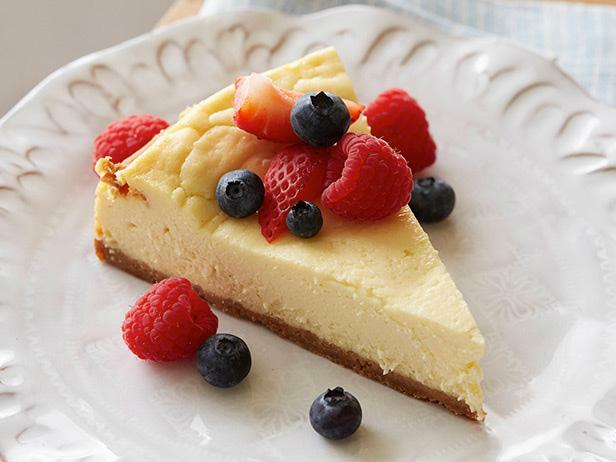 We love cheesecake topped with fresh fruit. Blueberries, raspberries, and strawberries are in season and delicious. To make the crust: In a small bowl, mix the cracker crumbs with the melted butter and the sugar together until evenly moistened. Press the crumb mixture onto the bottom of a 9-inch springform pan. Bake the crust until golden brown, about 10 to 12 minutes. Cool the pan on a rack.